Exceptionally talented young instrumentalists find it especially difficult today to get the support they need during the important first years of their budding careers. In addition to the enormous costs of education and training, they often cannot afford a suitable string instrument - not to mention the high insurance premiums. The cost of travel to meet the great musicians of the world - encounters which are indispensable for the development of young musicians - is prohibitive. Supporting up-and-coming, talented young musicians is a challenge for everyone that takes the future of music to heart as much as I do. For this reason I have established the Anne-Sophie Mutter Foundation. In order to help all of the promising young soloists who desperately need assistance I also need your help. Your welcome donation will help give exceptional young musicians a chance to bless us with their talents in the future“, says Anne-Sophie Mutter. 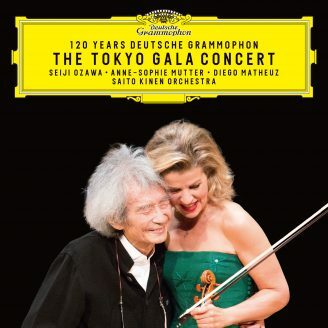 The Anne-Sophie Mutter Foundation may be supported by donations or endowment contributions - funds designated for specific projects are also greatly appreciated. If the Foundation has stimulated your interest, please refer to the contact details below for further information. The Foundation serves charitable purposes directly and exclusively, so that donations and endowment contributions are tax-deductible pursuant to § 10b of the German Income Tax Law (EStG). Be sure to include your complete address so that we can send you a receipt for your highly appreciated donation.